Geography: South East, West Sussex. Part of Horsham council area, part of Mid Sussex council area. Main population centres: Horsham, Billingshurst, Southwater, Balcombe, Copthorne. Profile: The north eastern part of West Sussex, excluding Crawley and Gatwick Airport, which form the much geographically much smaller Crawley seat that is almost surrounded by Horsham. This is an attractive and affluent seat, consisting of the market town of Horsham and a swathe of rolling countryside, dotted with small towns and villages. Politics: A very safe Conservative seat, held by the party under various boundary permutations since 1880. The Labour candidate in 2005 was Rehman Chishti, who defected to the Conservatives shorted afterwards and was elected as the Conservative MP for Gillingham at the 2010 election. JEREMY QUIN (Conservative) Born Buckinhamshire. Educated at St Albans School and Oxford University. Former company advisor. Contested Meirionnydd Nant Conwy 1997. First elected as MP for Horsham in 2015. JEREMY QUIN (Conservative) Born Buckinhamshire. Educated at St Albans School and Oxford University. Company advisor. Contested Meirionnydd Nant Conwy 1997. MARTYN DAVIS (Labour) Born 1959. Educated at Oxford University. Freelance education consultant. Former Gosport councillor. MORWEN MILLSON (Liberal Democrat) Former teacher. West Sussex councillor since 1989. ROGER ARTHUR (UKIP) Former engineering consultant. Horsham councillor since 2007, originally elected as a Conservative. DARRIN GREEN (Green) Social worker and care manager. JIM DUGGAN (Peace) Born 1940, Dublin. Works in the building trade. Contested Horsham 2010, Eastleigh 2013 by-election, South East Region 2009, 2014 European elections. JAMES SMITH (Something New) Software developer. JIM RAE (Independent) Horsham councillor since 2011, West Sussex councillor originally elected as a Conservative. Local Conservative-supporting villagers believe that Frances Maude will be unseated at the next election. To lose such a safe seat would certainly be an incredible feat for an MP. One to watch? Um, no – bar some shattering Tatton-style event it’s as safe as safe can be. Its safe but as in much of Sussex Conservative performance here has been decidedly unimpressive over the last 20 years. maybe the thinking is that francis maude might lose the seat because of fracking?? Looks to me that the rabble of protestors is causing a lot more disruption than the exploration itself. Any seat can theoretically be lost, but I am yet to see a Martin Bell type who is willing to contest this seat. The only possible scenario I can think of is the UKIP vote holding up in 2015 and an anti-fracking independent splitting Maude’s vote, allowing UKIP to take the seat. However such a scenario is unlikely at present, for it assumes that the UKIP vote will hold up (which isn’t certain) and that a strong independent candidate will stand. As much as I dislike the politics of Maude, I think that he should hold on here. Living about 10 miles from here I can safely say that the fracking isn’t particularly unpopular with the locals except for a very vocal minority. Most of the noise is coming from tiresome outsiders like Vivienne Westwood and all the other rent a mob enviroluvvies. Opponents living here are generally not the types ever to have voted Tory anyway. It will have little effect in the general election. I suspected that might be the case and it’s interesting to have it confirmed. In some ways a similar situation to Greenham Common and the Newbury constituency (where the Tories registered one of their best results in 1983). Yes I think that’s an apt comparison. The government won’t give this up without a fight. Politically it’s very important for them to show that the south is not a sacred cow, and the potential economic benefits are also, of course, considerable. I believe that fracking is unpopular locally (I can’t believe anyone would want it to happen in their back garden) but I agree about the rent-a-mob lot monopolising the ‘protesting’. This all shouldn’t harm Maude too much though. The Tories must only get around 40% in the town of Horsham itself. yes that’s the most LD part of the seat. It does have a surprisingly big council estate in the south, and quite a lot of relatively humble terraced housing. I cannot for the life of me see the Conservatives getting anywhere near losing this seat though, fracking or no fracking. There might be some impact on the Lib Dem vote, which is the way most of the genuine locals who object to fracking will most likely have voted in the past. It will be interesting to see the Lib Dem election leaflets to see whether they renounce the policy of the government they are a part of. Very very few Tory voters are opposed to fracking in such strong terms that it will affect their vote, many are in favour. Through damaging the Lib Dems it might even increase the Tory majorities here and in Mid Sussex. Perhaps so – although the majorities are likely to rise in such seats anyway. You seriously underestimate its potential unpopularity when the wells start going up. This is not North Dakota we are talking about & that is what will hamper the development of a big fracking industry & limit potential for any substantial fall in wholesale gas prices when plentiful Norwegian supplies are flowing. Do seriously think that a voter who opposes wind farms as despoiling the countryside will welcome fields of fracking wells? with attendant fears of pollution, water supply, trucks whether these fears are unfounded or not. RSPB has come out against it & they have more members than all political parties put together. If the LibDems take an “anti” stance then a fistfull of seats might be ours….. The secretary of state for energy, who is therefore responsible for giving the go-ahead for the fracking projects, is a Lib Dem. The second irony being, of course, that the fracking isn’t really going to get up to speed until well after 2015 when the Lib Dems are likely to still be in government (most likely with Labour). I think Labour will be much less careful about the sensibilities of fracking in Sussex than the Tories will, if only to be able to be more careful in Lancashire. If the Lib Dems try to campaign against this in 2015 it will bite them on the arse after the election just as tuition fees did. Yes but that doesn’t stop Lib Dem opportunism at a local level whatever Nick Clegg says. This seat is too safe but if fracking were to happen in a more marginal Tory seat with Lib dems in 2nd place they will go to town. I still remember the vicious ‘three jobs bob’ campaign they are ruthless in picking up an issue & hammering it home. Well according to polls in Balcombe and other potential fracking sites (nearby villages like Fernhurst), there is around 82% local opposition to fracking and a similar level of opposition to Cuadrilla exploratory drilling. All major parties except the Greens have not opposed fracking, but voters would be more likely to vote for an independent. I’m sure the Tories will be able to pick up enough LD/Tory swing voters due to the LDs not being a very different party at the moment to offset any losses. Similarly, I feel UKIP won’t benefit as they are even more supportive of fracking than the Tories and again independents would be more favoured than an ‘other’ party, I reckon. For once WoC, I think you’re overly dismissing Green fortunes here. Don’t get me wrong, I’m rather split on the implications of the Green intervention here. On the one hand, your average Tory voter in these parts is not going to be too impressed by the makeup of alot of these protests: anything screaming hippies and tree huggers in their mind is going to turn them off, and Lucas getting arrested is going to come across to some as a, imagining their words, same-old mad environmentalist at it again. However, Lucas isn’t your conventional ‘hippie’ – she is at least a polished politician, rather than some bearded fella with a ponytail looking like he’s been at substances he really ought not to have. And beneath this scepticism of the Green Party, at least your average Joe and Jane in this constituency will now know the Greens stand forcefully against fracking. My guess is if the Greens happen to follow this up with abit of political campaigning locally – to try and turn around that hippie image amongst average Tory voters – they could end up with a respectable enough vote in some local elections here, whenever they are, and a move up in the parliamentary vote. But you are right, WoC, to highlight the potential for local independents: having Lucas at the forefront does risk making the Greens looking like a bunch of outsiders, even if they stand local candidates. 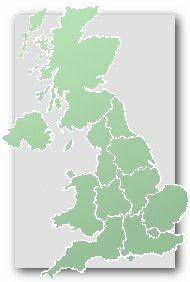 And tbh, I fully well expect UKIP to make gains because of this, unless the other parties do their job in educating otherwise: I can totally believe alot of voters here will just assume UKIP, being a party of protest, are against fracking, when of course as you’ve said they’re not. Seems rather reasonable definitely 🙂 Thanks. Fracking was used a few times in Bassetlaw at the oil and gas wells in Beckingham (with last time been 1989) where john mann lives and there,s been no reports of any problems. @HHemmelig – isn’t the fracking proposed for Lancashire mostly on the Fylde peninsula and in Wyre? There’s not much of a Labour vote to annoy there, so I’d question whether it would be worth a Labour government’s while to choose fracking locations for political advantage. I hope the government u-turns on Francis Maude’s disgraceful proposals to abolish the census (or that at least Labour will reverse the decision after 2015). Incredibly stupid short term decision. Census has been running since 1801 & the cost very ten years is negligible. They were happy to spend millions firing missiles into Syria but scrap the census. Mad. Frankly, it’s nothing short of national vandalism. There was a time when Conservative governments had a sense of history. Churchill and Macmillan must be spinning in their graves, perhaps even Thatcher too. If that is indeed the real reason, I would rather they eliminate the ethnicity questions rather than cancel the census altogether. What upsets me is that they don’t see it from the long term historical perspective. The census is invaluable when it comes to learning about the life of previous generations and of course for researching family trees. Oh here you go again with the crackpot rightwing conspiracy theories full of undisguised and ugly racial animus guess its unsurprising from a UKIP supporter. ‘Ethnic Vandalism’ wtf? could you please tell us what that delightful little euphemism means? Census 2011 results showing 86% of country is White British inconvieniently gets in the way of your Powelite fantasies. You ‘suspect’ I can never really understand the minds of people like you who look at every issue through such prisms when a decision to scrap the census must involve some great plot to commit what did you call it? ah yes ‘Ethnic Vandalism’. Guess you probably frequent the madder reaches of the Telegraph comment boards as well. I don’t know this area at all, so can somebody tell me which West Sussex County Council setas are in this constituency? Preferably with an interpretation of the 2013 results. From the seats in Horsham itself, it appears that the LibDems do well here at local level, and that their vote held up better in 2013 than in many other areas. On the other hand, given that the LibDems are likely to be on the defensive next time after being in the Coalition, it is hard to see them winning. 111 is probably right, the likeliest scenario for the Conservatives losing this seat would be a very big surge in the UKIP vote. However, my very quick scan of the local election results suggests that this was not one of UKIPs stronger areas this year. Perhaps one reason is that the LibDems are sufficiently well placed to hold onto the purely protest vote. I have in front of me an article in today’s “Daily Mail” about Government plans to scrap the 2021 census. Maude, the MP here, is said to be anxious to cut the cost, extimated to be about £1 billion. It should, however, be said that the proposed online or data trawl alternatives also cost hundreds of millions, and would be far less effective. And the costs for developing social policy etc. of not having a full census would probably be much more than half a billion pounds, even if not all these costs would be easily identifiable. We bloggers on UKPollingReport should be very concerned about this proposal as the Demographics for this and other seats we comment on are based on census results and are crucial for our interpretation of past election results and predictions of future ones. UKPollingReport is party neutral but we should be making a fuss about this proposal from a technical psephology viewpoint. At the end of the “Daily Mail” article, Sir Andrew Green says that the change risks further undermining confidence in immigration statistics. And whatever one’s views on immigration policy, It is surely right that the Coalition should, as Labour should have done, provide us with accurate statistics on such matters. Particularly in the vicinity of Gatwick, an on-the-ball UKIP candidate could make considerable play on the statistics issue without actually “digging dirt” on racial aspects of immigration. Given previous comments on fracking as well, this could be a seat where UKIP could exploit the Government’s record. But if the Tories lost this seat at the next election the upset would be as memorable as Portillo’s defeat in 1997. A final comment: I would think that the odd boundaries between this seat and Crawley greatly advantage the Conservatives and Labour compared to smaller parties. This is another one of those “too posh for UKIP” seats. There has always been a small-c conservative environmentalist streak in the nicer parts of Sussex, which has been clearly visible in the fracking debate. The Lib Dems tap heavily into that seam of voters here but will find it harder to do so in 2015. The Greens would do a lot better in this type of seat if they weren’t socialists. I’m guessing it will be an increased Conservative majority. Agree with Frederic about the census, in fact I raised the issue weeks ago on this very thread. He looks like him. I think his dad wasn’t the sort of gently modernising Tory that Francis sort of is. There was a John Maude who was a Tory MP for Exeter until the 50s, but I don’t think he was related. You’re right. Angus Maude was one of the small isolated band of monetarists in the Tory party in the 1960s, along with people like Enoch Powell and Nigel Burch, ten years before Thatcher took the party in that direction. Oliver Letwin & John Bercow both backed John Redwood for leader (in Bercow’s case after supporting Peter Lilley in the first round) before starting a trajectory away from the right wing of the Conservative Party. I don’t see how this seat can normally be regarded as all that interesting! It’s a Tory stronghold in any vaguely normal circumstances, and until the creation of Arundel & S Downs was the safest Tory seat in the whole of Sussex. And that’s saying quite a lot. who cares? this seat will be tory until hell freezes….can we get into a debate about the fate of some of the more interesting seats which might actually determine the future government of the country. Will be interesting to see how much fracking damages the Tory majority here imo.